A newest refugio in the national park which was built on Paso de las Nubes in April 2013 and has replaced the campsite that was in the valley floor. Open from November to April each year. 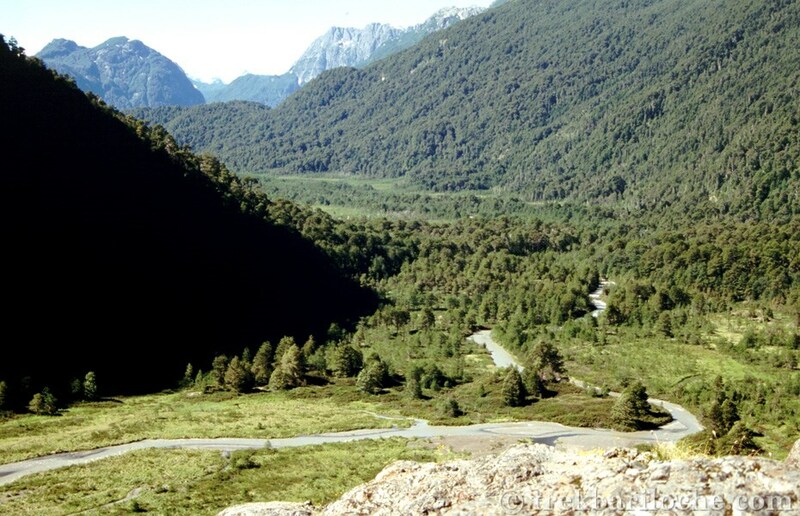 Sendero Lago Ortiz Busualado & Laguna Los Clavos (PDF in Spanish). 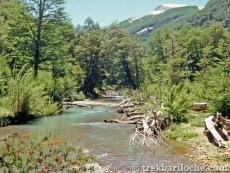 A beautiful 2 day trek mainly through trees from Pampa Linda over Paso de las Nubes to Puerto Frias. (Consider combining with the Refugio Otto Meiling). The trail may not be open until January each year due to the amount of rain/snow melt meaning the valley on the other side of the pass is waterlogged and impassable. 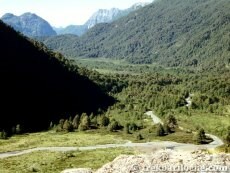 The first part of the trail passes close to the river, then there will be limited option until arriving to the Refugio. 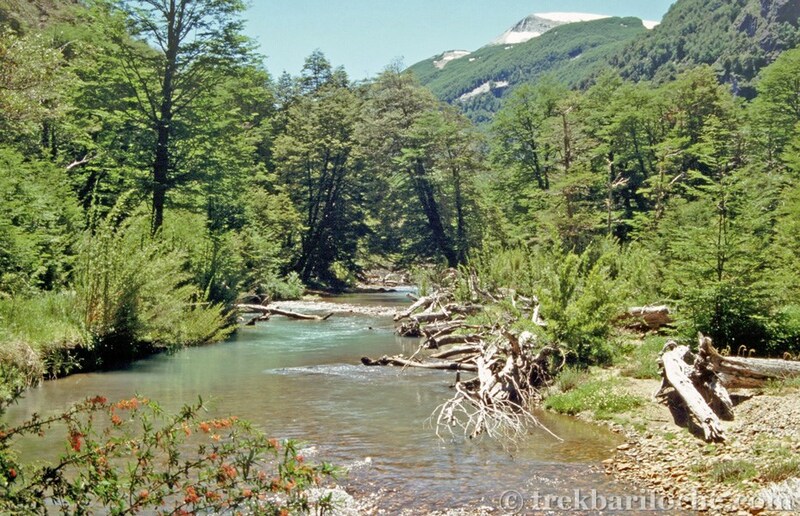 Bariloche - Pampa Linda: There are tourist services daily during the summer months, in the morning (about 8.30am - confirm before travel), returning in the evening (5pm - confirm before travel). Ask at the Mountain Info Centre next to Club Andino and opposite at Transitando lo Natural for prices and timetable. Buy your tickets in advance, especially in the high season. Enquire for departures out of season which may as there may no be any unless there is enough demand. 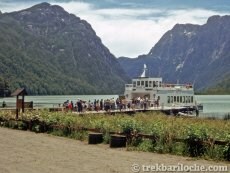 NO ticket office in Pampa Linda but you may be able to buy tickets on the bus in Pampa Linda subject to space - enquire in Bariloche before heading out. 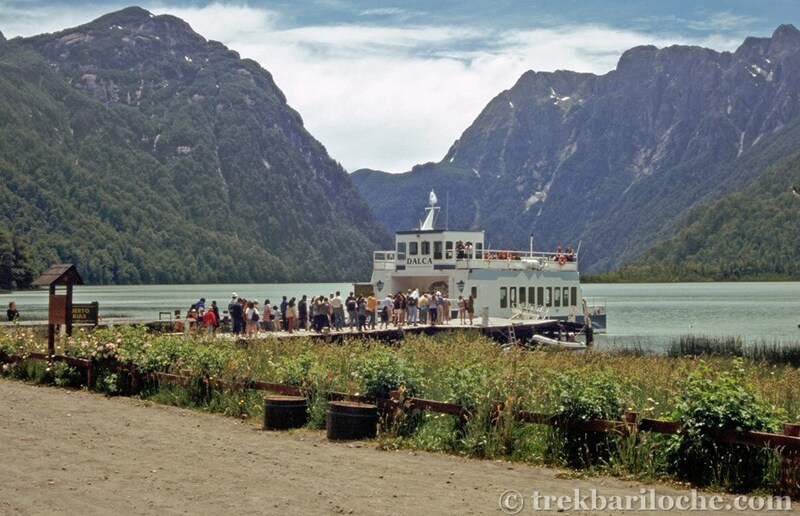 Enquire at the Otto Meiling and Paso de la Nubes Refuges as they may also offer bus ticket sales.